SUMMARY: Camden Pike has been grief-stricken since his girlfriend, Viv, died. Viv was the last good thing in his life: helping him rebuild his identity after a career-ending football injury, picking up the pieces when his home life shattered, and healing his pain long after the meds wore off. And now, he'd give anything for one more glimpse of her. But when Cam makes a visit to the site of Viv's deadly car accident, he sees some kind of apparition. And it isn't Viv. The apparition's name is Nina, and she's not a ghost. She's a girl from a parallel world, and in this world, Viv is still alive. Cam can't believe his wildest dreams have come true. All he can focus on is getting his girlfriend back, no matter the cost. But things are different in this other world: Viv and Cam have both made very different choices, things between them have changed in unexpected ways, and Viv isn't the same girl he remembers. Nina is keeping some dangerous secrets, too, and the window between the worlds is shrinking every day. As Cam comes to terms with who this Viv has become and the part Nina played in his parallel story, he's forced to choose—stay with Viv or let her go—before the window closes between them once and for all. 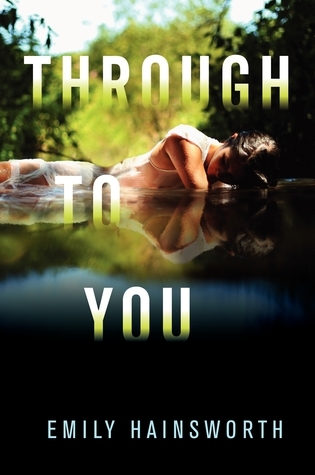 Addicting in an inexplicable way, and focusing very much on the romance aspect and everything Cam is going through in terms of grief, Through to You is a strongly contemporary book with just a touch of something more. While I admit, some areas of the book left me wanting more, and most of the big twists were predictable, there was still something gripping about this one that had me unable to put it down. Taking love to some different levels, and giving meaning to love beyond life, Through to You is will make readers think, while still leaving them contented. Camden is a great character, a guy who loved his girlfriend so intensely that it's almost a detriment. Completely broken up over her death, and almost useless in his every day life now, Camden has such a strongly sympathetic angle to him while still being intriguing. I felt for him, but I also rooted for him. I adored the devotion Camden held towards Viv, even 2 months after her death. His entire life is so shattered, and there is just something endearing about him. Despite the faults he may have, and I admit, he did get on my nerves a few times when he was so obviously mind to some things around him, Camden is easily one of my favorite characters. Though there are some twists in this one, most of them felt predictable to me. I didn't get many surprises in this one, but I still enjoyed the ride very much. While I admit, this one didn't feel very sci-fi to me, apart from the random green doorway between the two realities, as such a strong fan of contemporaries, this one made me happy. Though some of the changes Camden goes through by the end, at least in regards to how he views some people, didn't make too much sense to me and actually left me disappointed, this book still had a strength and depth to it that captured me. This book definitely raises some questions, and is thought provoking to an extent. The writing of this one completely lured me in, with a strong voice that is so very obviously Camden, without trying too hard at all. With the right amount of light sarcasm and humor, and an honesty to it that shines, Hainsworth is a talented writer who I can't wait for more from. There were some breathtaking moments in this one, and an overall well crafted world, even playing two similar yet different realities against each other. Fans of both contemporary and the supernatural will enjoy this one, and anyone who loves a good male POV should be sure to pick it up. I didn't really want to read this book. I'm not a fan of the whole ghost & parallel worlds, but your review makes me want to read it! ^_^"